28 years - Relaxation will be given as per DST- SERB norms. M.Sc., in Biotechnology or Life Sciences with CSJR-UGC NET, DBT-BET, GATE, ICMR-JRF, or other equivalent examinations conducted by Central Government. (or) Candidate with M. Sc.,/ M. Phil., in Biotechnology. "Identification, validation, analysis and characterization of molecular activators and antioxidant response elements of Keap 1/Nrf2/ARE signaling pathway in zebra fish"
JRF with NET @ ₹31,000 month. JRF without NET @ ₹18,000 month. 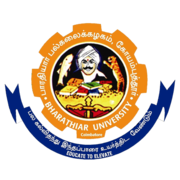 Eligible candidates may send their CV to Molecular Toxicology Laboratory, Department of Biotechnology, Bharathiar University, Coimbatore - 641 046, Tamilnadu. E-mail: ekas2009@.buc.edu.in on or before 29 Apr 2019, along with copies of all relevant documents & certificates.